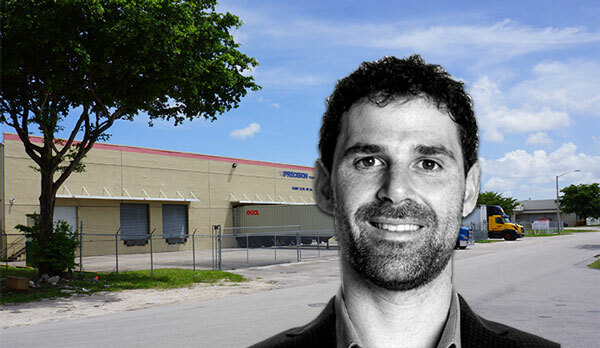 An affiliate of Rok Acquisitions just bought an industrial building in Miami Gardens for $8.8 million, records show. The warehouse at 15801 Northwest 49th Avenue spans about 150,000 square feet, according to the buyer. Records show the Rok affilate, Warehomes Precision LLC, led by Marcos and Jason Morjain, scored $6.65 million in financing from City National Bank of Florida. Precision Trading Corp. sold the property for about $59 per square foot. Records show Precision bought the property in 2007 for $8.4 million. Precision leased back about 60,000 square feet at building, according to Jason Morjain. The company is an OEM manufacturer and distributor of electronic products and housewares appliances in Latin America and the Caribbean. The seller was represented by Lee Katsikos of The Katsikos Group, and the buyer was represented by Ted Konigsberg of Infinity Commercial Real Estate. The property, formerly home to Warner Brother’s printing, falls under IU-2 zoning code, which permits a number of different industrial uses like manufacturing or technology. Konigsberg, who is also handling leasing at the property, said interested tenants include an indoor marijuana growing operation, and FEMA, which inked a 94,000-square-foot building in Doral last week. Demand for industrial properties is climbing as rents increase across the nation. Rents for U.S. industrial spaces reached $5.35 per square foot in the second quarter of 2017, jumping from $5.25 in the first quarter, according to new data from JLL. In Miami, booming e-commerce and a growing population is also propelling the demand for industrial properties. In August, CenterPoint Properties paid $59 million, or about $61 per square foot, for a 961,345-square-foot industrial facility in Opa-locka. Nearby, EastGroup Properties is building an 850,000-square-foot industrial park called Gateway Commerce Park in Miami Gardens.